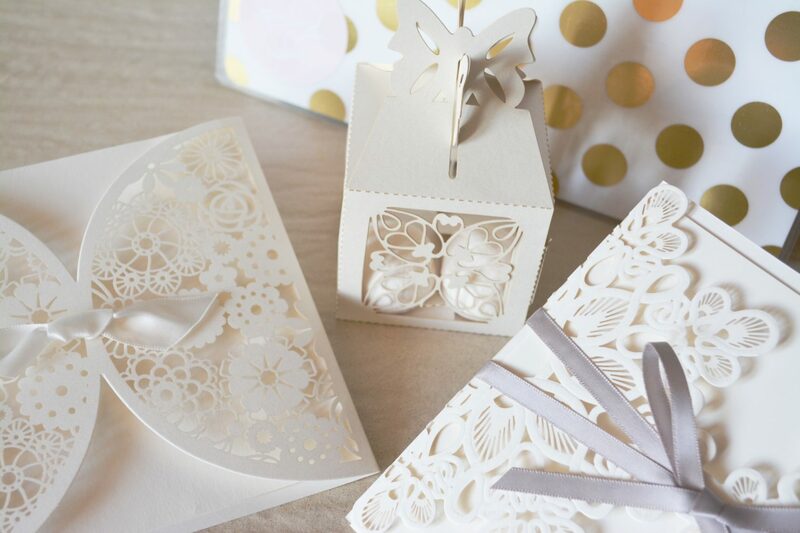 Even at the early stages of wedding planning, you’ve probably figured out that the invitations are a big deal. What is your theme? Have you settled on colors? Whose name goes first? How soon do you send them out? For something so seemingly simple, there are a multitude of factors to weigh and consider before sending them off. After all, it’s one of the first tastes guests will have of your nuptials, and chances are you’ll want to make a great first impression. Wedding invitations—for better or for worse—are one of the few traditions that have more strict rules of etiquette in terms of content and delivery. And then you have to tie them into your overall wedding vision. We know, it’s a lot to consider. That’s why we’ve created an easy, breezy, guide to help you through to dos and don’ts of wedding invitations. Before we get to the no-nos, we’ll begin with all the things you should do with your wedding invitations. There’s a little more flexibility here, depending on your tastes. You’ll want to maintain consistency throughout all aspects of your wedding, including the invitations. Get your colors, themes, and style preferences sorted before starting your wedding invitations. The way your invitation looks should be consistent with the theme of the wedding. It’s also one of the first impressions your guests will receive for your big day, so make it a good one. It gives guests an idea of what to expect, and some may even choose to participate in the theme as well. Fun! These stunning winter fairytale invitations by Atelier Isabey have a crystal clear wedding theme. Traditionally it was proper etiquette to list the brides full name first on the invitation (the “ladies first” rule), but nowadays we wouldn’t put too much stress on the matter. The order should entirely up to you! If you want to make the decision fair, may we suggest pulling names out of a hat? If any parents or loved ones are hosting the wedding, their full names should also be included on the invitation. It’s a huge time and financial commitment, and they should be properly recognized on the wedding invitations. It’s important to include the full name of each partner on the wedding invitations. Over the coming months, guests will likely be searching for your wedding website and even your online registry. When you create accounts for either, you’re generally using you and your partner’s full name. When your full name is on the invitation, searching for your wedding website and registry is much easier for guests. Your wedding invitations should have all the relevant information concerning your wedding, without getting cluttered. Make sure to include full names for the couple and the host. The date, time, and location of the ceremony, cocktail hour, and reception time should be included as well. Traditionally, couples would include directions and RSVP cards for guests to fill out and mail back. A lot of couples still do this, but many are opting to guide guests to their wedding website in lieu of extra paper goods. On your wedding website you can house all information including directions, RSVPs and meal options, and even a link to your registry. Pointing guests to a wedding website not only saves you cash (think about all the money spent on stamps, return envelopes, RSVP cards, tissue, directions… oh my!). It’s also an easy, digital way to organize and keep track of confirmed guests, and all the other details that are important, but don’t belong on an invitation. The best way to get folks to RSVP on time is to make it as easy as possible. For more traditional guests, that way may be the good ol’ RSVP card and stamped and labeled envelope within the wedding invitation. However, these days even Aunt Sue has a smartphone that can access the internet and therefore, your wedding website. Wedding websites are constantly dishing out more functionality, and a sophisticated RSVP system is very common. Guests will be able to visit your website, and confirm their presence, plus ones, and even food preferences (if applicable) with just a few clicks. If you still send out physical RSVP cards, be sure to be organized and record responses immediately. Make note of who received a physical card so you can contact them if you haven’t heard back by your RSVP date. Deciding on a guest list is one of the hardest parts of planning a wedding. In fact, 43% of Blueprint users we surveyed said it has been the hardest part about wedding planning. However difficult, it has to be done—and in a timely matter no less. Once you’ve finalized your guest list and are ready to prepare wedding invitations, it’s imperative to be as clear as possible about who is invited in a respectful and tasteful way. Address your envelopes with the invitees full names, and find some gentle wording for letting people know it’s an “adult’s only” affair. We love this take on wording on the RSVP card from Team Blissful. Adults Only Weddings? Make it clear on your Reply card for meal option; omit mentioning Children at all! We at Blueprint are huge fans of wedding registries, but even we can agree that wedding invitations aren’t the place to share them. Wedding etiquette dictates that couples should never expect to receive gifts, and registries are served as a guide to help the guests that choose to give one. Therefore, it’s in bad taste to include a registry on your invitation because it implies that a gift is required for attendance. Instead, and as mentioned above, include your wedding website as an RSVP option and have a registry link listed there. Otherwise, registry information will be passed around through word of mouth or organic search. That’s why it’s important to list your full name! Planning on having a plated dinner? The wedding invitation and RSVPs are the best way to get meal options taken care of. But even if you’re opting for a buffet option, RSVPs are the only way to get a clear estimation of the number of guests to give to your caterer. You won’t get a proper estimate until you do! With all the hustle and bustle with organizing, remembering to keep little mementos of the journey isn’t always a priority. Don’t forget to keep a couple wedding invitations for yourself and have framed for a beautiful and sentimental keepsake of your big day. There is some debate over when to send out wedding invitations, but our rule of thumb is to send wedding invitations no later than 3 months before your wedding date. This will allow for enough time for delivery, decision making, and RSVPs. If you’re planning a destination wedding, you’ll need to send invitations out even sooner so guests can make the necessary travel arrangements. The 3 month rule isn’t just for your edification and guest travel plans, however. Caterers and venues will want to have a headcount figured out months before the wedding. Additionally, you won’t get a proper cost estimate until guest numbers are final. Sending out wedding invitations is the first step to making your wedding vision become reality. It’s nerve-wracking. You’re giving your guests their first taste of your magical night, while simultaneously compiling important data to help you in your planning—all wrapped up in a calligraphed envelope. With a few dos and a hint of don’ts, you’re sure to get the rest of your wedding planning started on a high note.